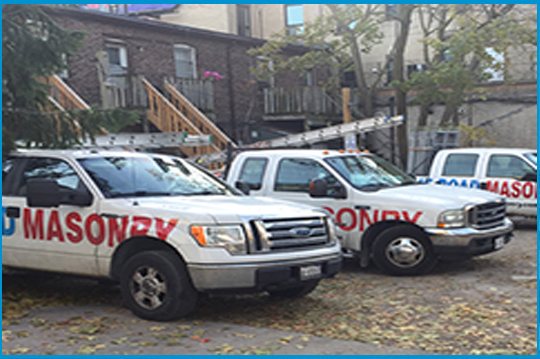 One of AVENUE ROAD MASONRY’s most requested services; involves repairing, or rebuilding, of residential and commercial chimneys throughout the GTA. Masonry repairs to chimneys include: replacing individually shaled or spalling bricks; grinding out deficient mortar joints, and neatly re-tooling new mortar into the affected joints. A specialty of ARM is the ability to closely match existing mortar colours. 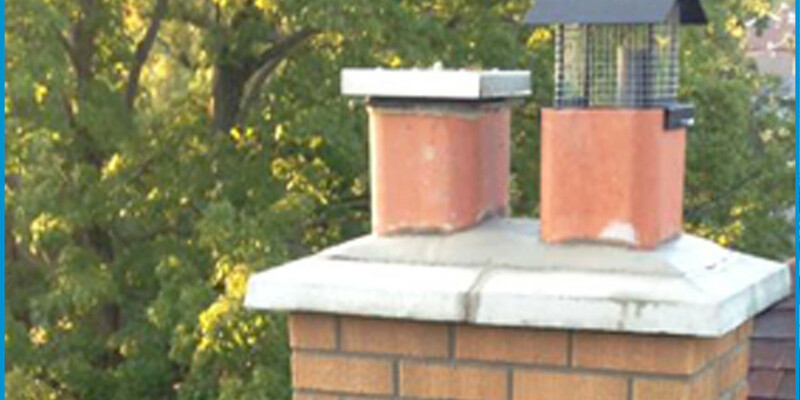 To stop the infiltration of moisture; which seeps through comprised brick courses; often requires the replacement, or repair of the cap portion of the chimney. These cement caps which top off the chimney are either pre-cast concrete, or are cast in place concrete, which requires creating a wood form and pouring the concrete to the correct design and specifications. A proper cap should shed water. Tuckpointing an existing chimney is a cost effective choice to avoid further deterioration of the chimney structure. It is a highly viable option, if brick deterioration is isolated to the upper half of the chimney. If there is extensive corrosion of the brickwork towards the base of the chimney; and or if the chimney exhibits leaning; the correct solution involves rebuilding the chimney from the roof grade up. Rebuilding chimneys involves removing the bricks to below roof grade. Next, rebuilding the chimney using similar type, or closely matching bricks (if the brick is no longer produced). A new precast concrete cap, or poured cement cap is installed at the chimney top. Also necessary are the replacement of interior clay flu tiles, and or re-setting the metal liner in the event the chimney serves the home’s gas furnace and or fireplace. The installation of a metal animal screen/rain hats prevents vermin and water from entering the chimney flu’s. An advantage provided by AVENUE ROAD MASONRY, is that metal flashings which are required to waterproof the base of the chimney to the roof, are completed properly by our roofing division. A properly rebuilt chimney will result in decades of service and durability. Costs associated with completing such work are influenced by the building’s access, roof pitch, and size of the chimney involved. 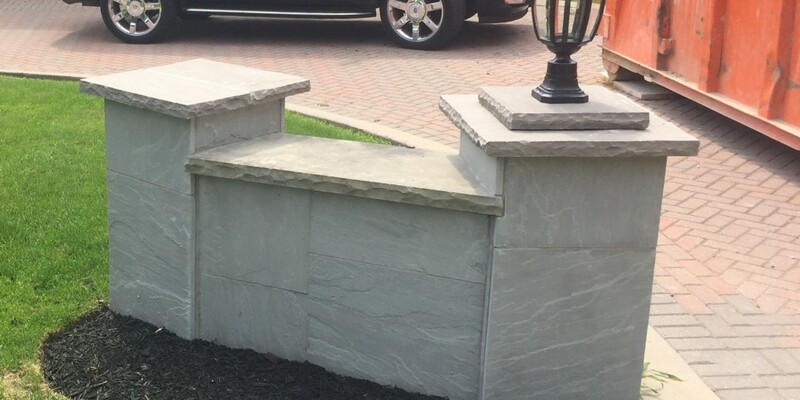 It is important for consumers to select a proven, experienced masonry contractor whom places great attention on safety and quality of workmanship. Our experience with all types of architectural styles, heritage homes, and commercial buildings throughout Toronto and the GTA; means we can supply abundant references in your neighbourhood. Check out our testimonials on Homestars. Contact us for a no obligation estimate, provided by our courteous and knowledgeable masonry specialists.